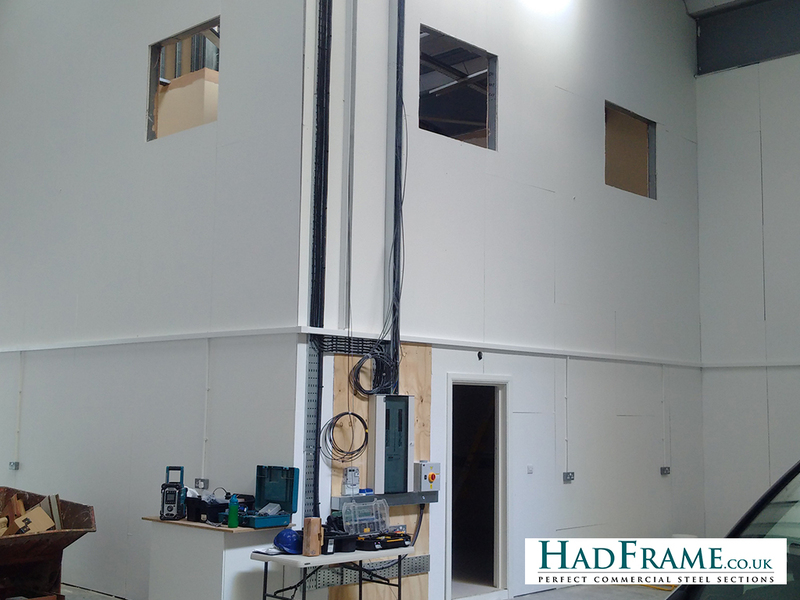 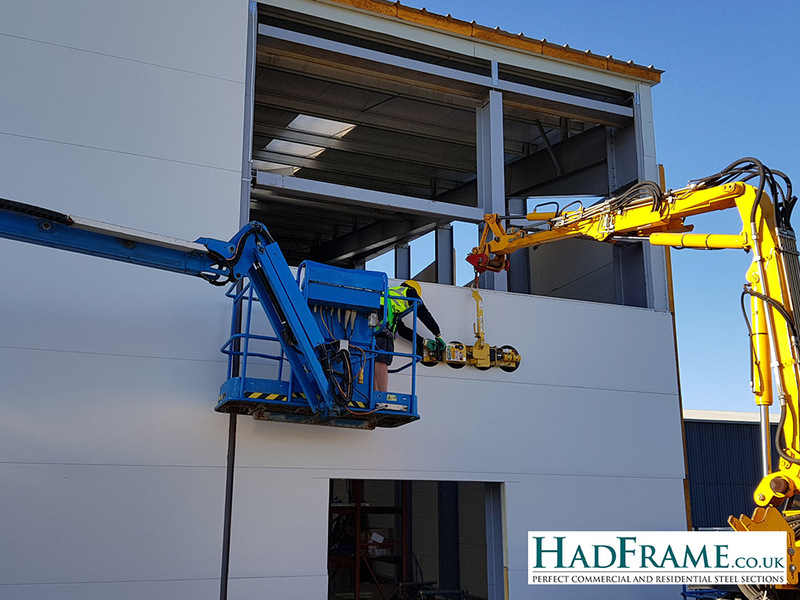 Hadham Construction Ltd. specialises in the manufacture, design and assembly of the HadFrame light weight steel frames and structures system. 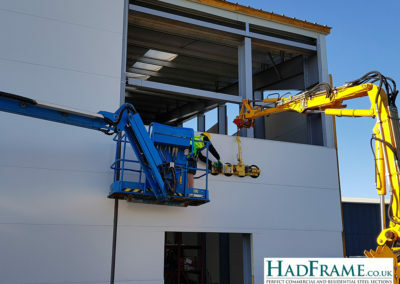 If you would like us to quote for your next job, please don’t hesitate to get in touch with us by either calling us or emailing us on the details at the bottom of the page and we would be happy to help. 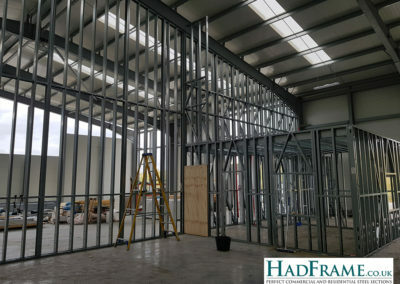 Whether it is simply the steel installation or managing the whole job from the groundworks through to completion, Hadham Construction Ltd has the expertise and experience to help. 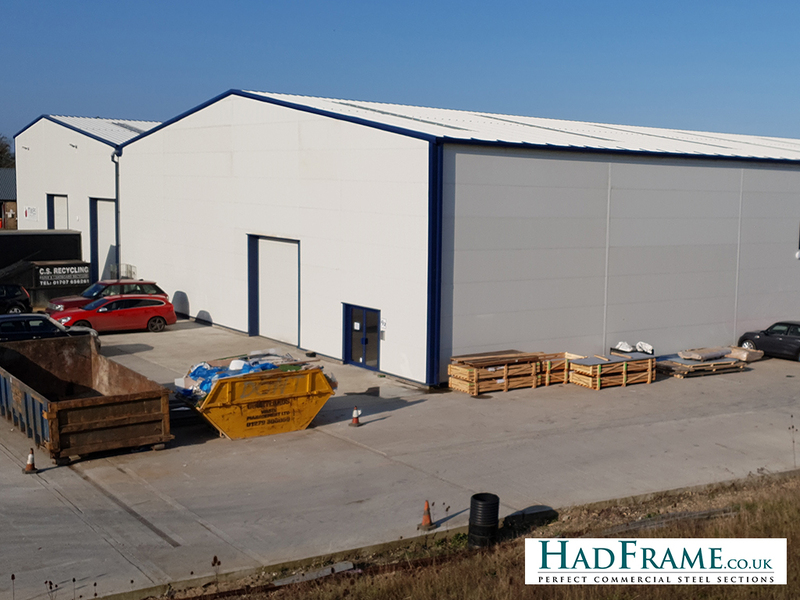 HadFrame precision manufacture all cold rolled sections from high grade galvanised sheet through CadFrame machines. 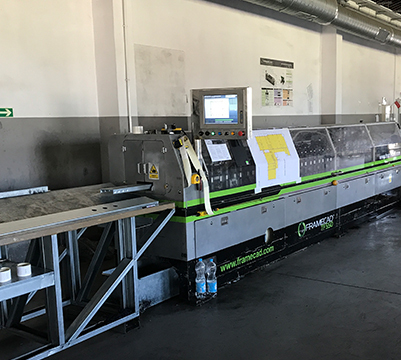 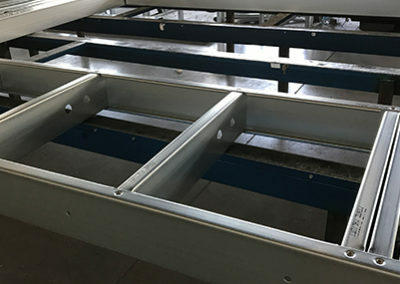 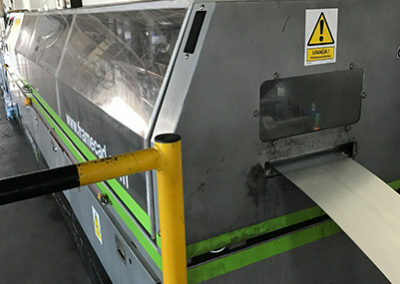 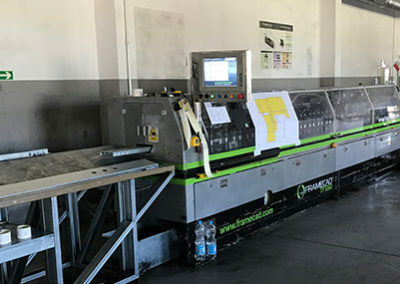 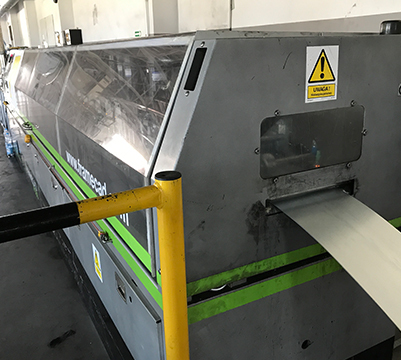 Only by utilising the latest Computer Aided Design and Computer Aided Manufacture can HadFrame produce the high quality structural steel sections to the accuracy and efficiency required to provide our customers with a truly revolutionary level of service. 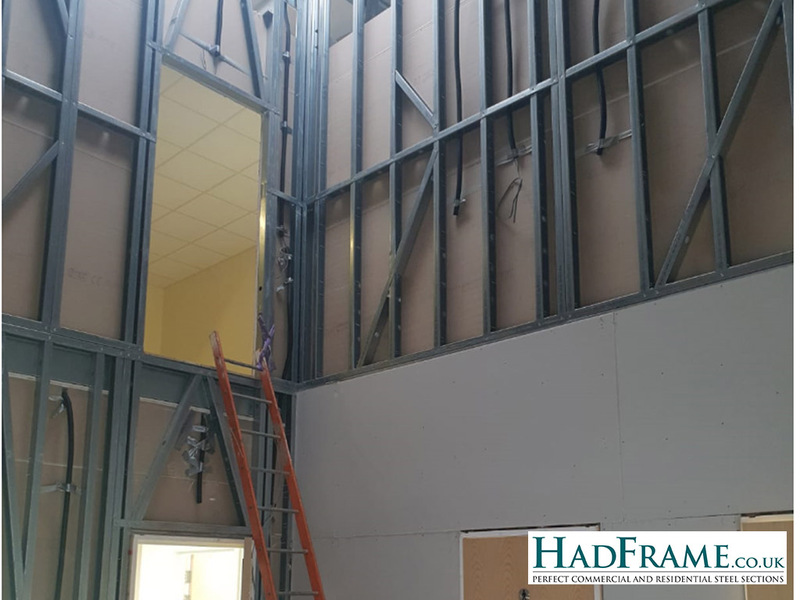 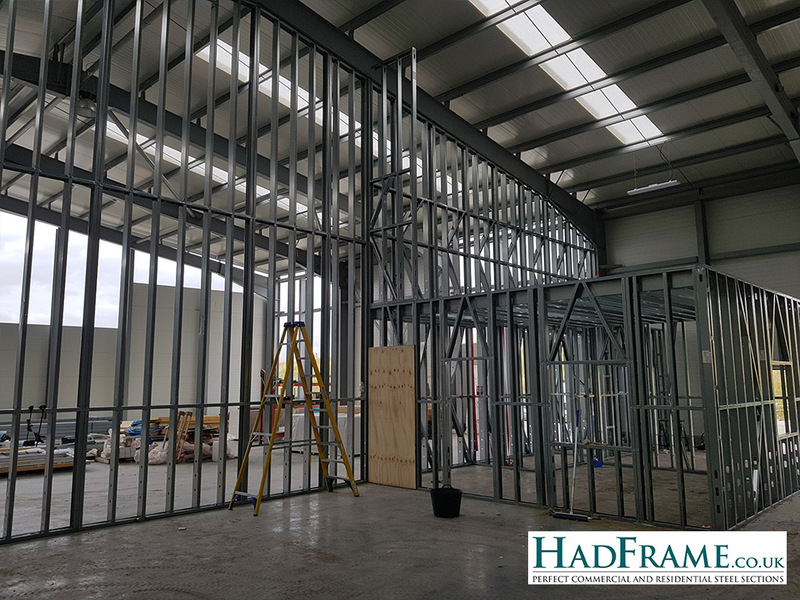 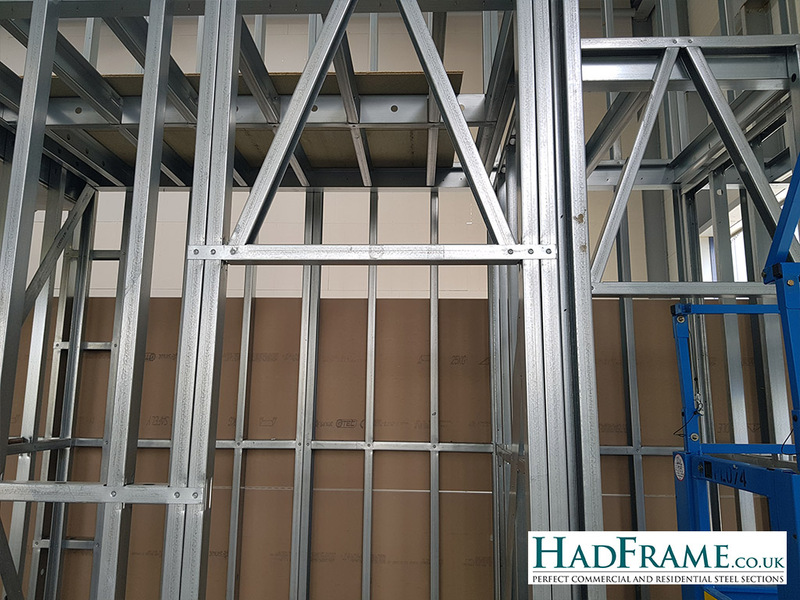 The guaranteed steel supply, use of CadFrame technology and information technology on a European scale gives HadFrame clients a significant advantage in prompt, accurate, perfect delivery of all cold rolled framing and sections. 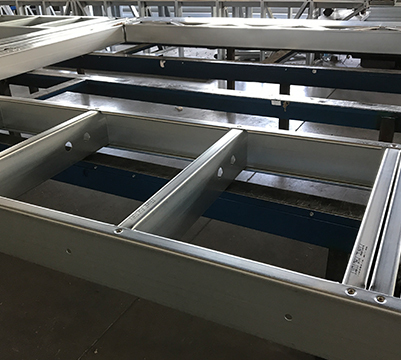 Through the combination of advanced design, engineering software and computer controlled manufacture we have a unique solution to the design, manufacture and installation of light steel structures. 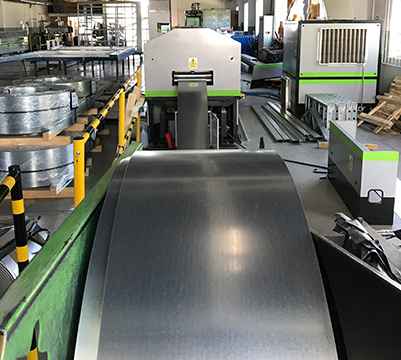 The all round efficiency of the end product gives steel structures many unique benefits to the environment: Efficient use of materials, low waste, no site waste, low transport costs, longevity, durability and efficiency. 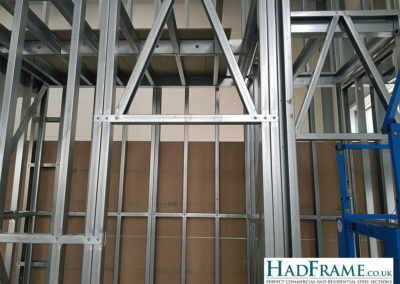 A Composite panel is usually made of three layers: a low-density core, and a thin skin-layer bonded to each side. 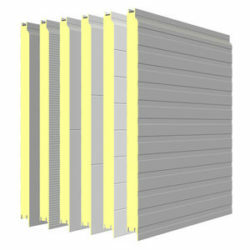 Sandwich panels are used in applications where a combination of high structural rigidity and low weight is required. 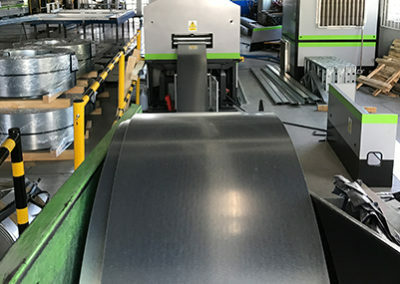 Composite panels are an example of a sandwich structured composite: the strength and lightness of this technology makes it popular and widespread. Its versatility means that the panels have many applications and come in many forms: the core and skin materials can vary widely and the core may be a honeycomb or a solid filling. 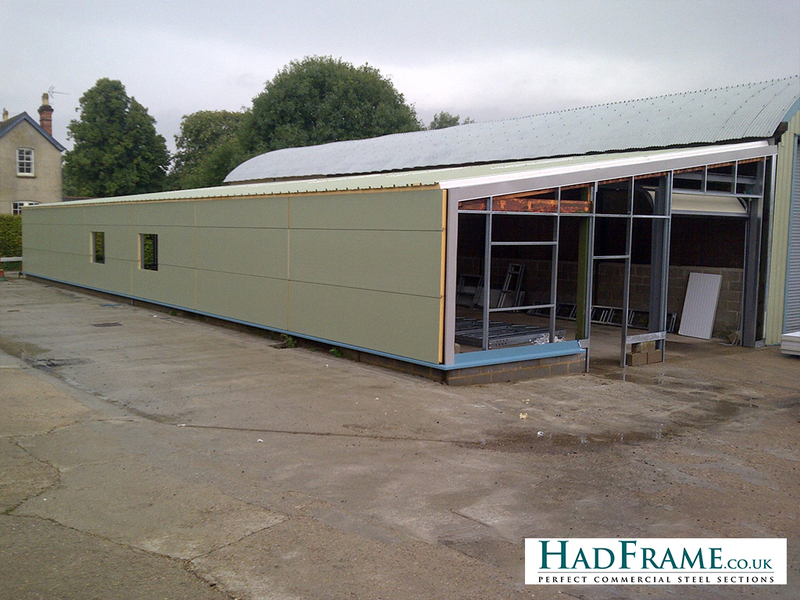 Offices built to this specification are so well insulated that they are very much more economic to run than modern buildings. 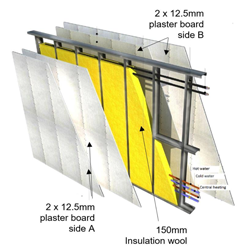 This helps to achieve a fantastic 0.16 U Value, which is very low and can help achieve substantial savings in heating bills.